1. 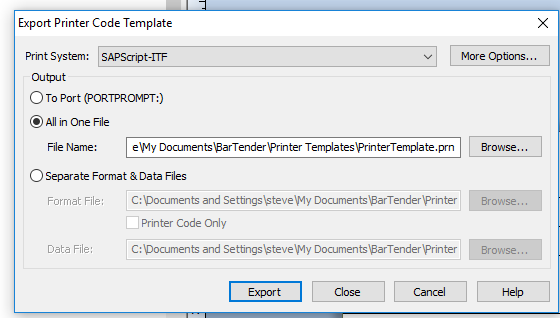 From your external tool (screen shot below is from Bartender Designer), perform an export and select SAPscript.itf as the option or as directed by the tool’s documentation. Fig. 1 Export an ITF file. The generated ITF file is a simple file that can be opened directly in Windows Notepad. A typical format may look like Fig. 2 below. You’ll notice that the file has embedded printer-specific code. This is important because the label format will only print properly on the printer it was designed for a family of printers. 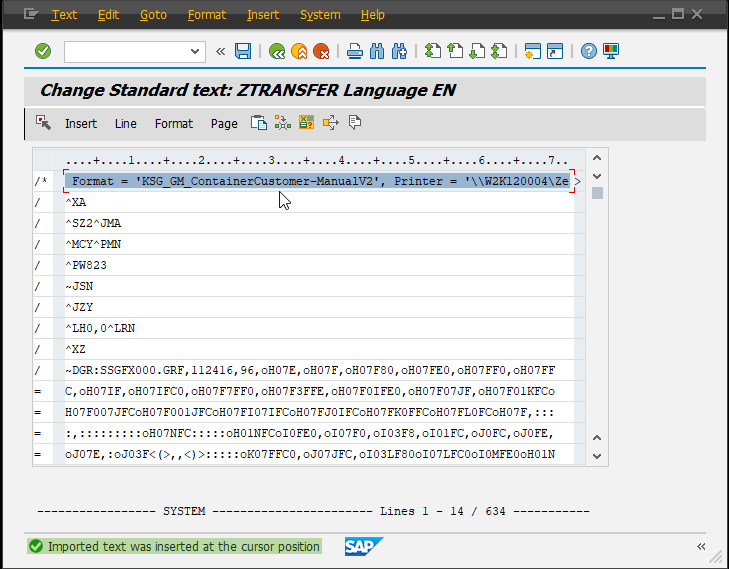 For example, Zebra printers use the ZPL language, which is broadly supported. So if you use a Zebra driver, the exported ITF format likely will work on a broad set of printers. Fig. 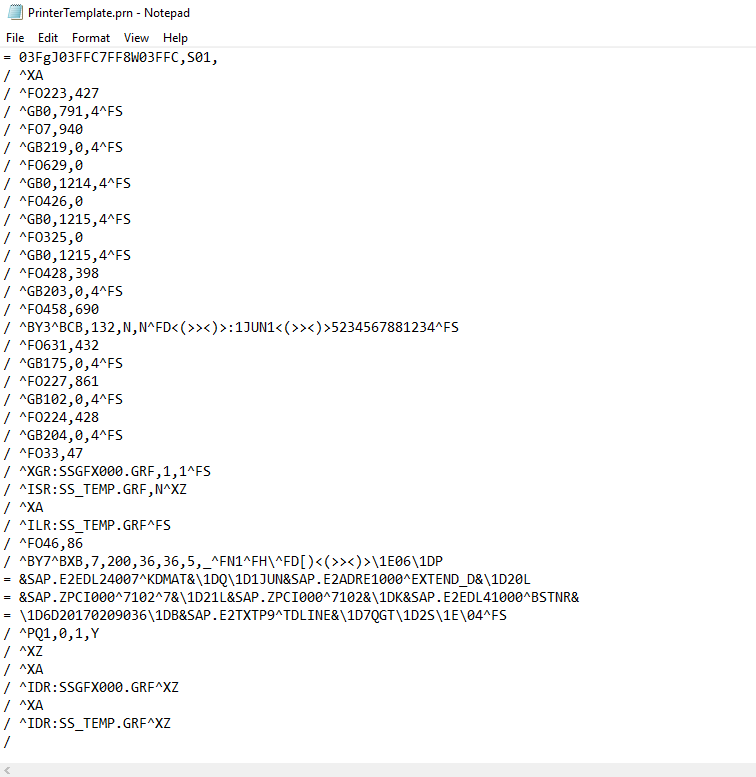 2 Sample ITF file. Once you’ve saved the file to an accessible location, you can continue. 2. 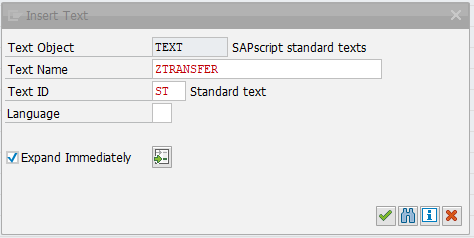 In SAP, go to transaction (SO10) Standard Text. Give it any name you want, and select standard text as your language. 3. 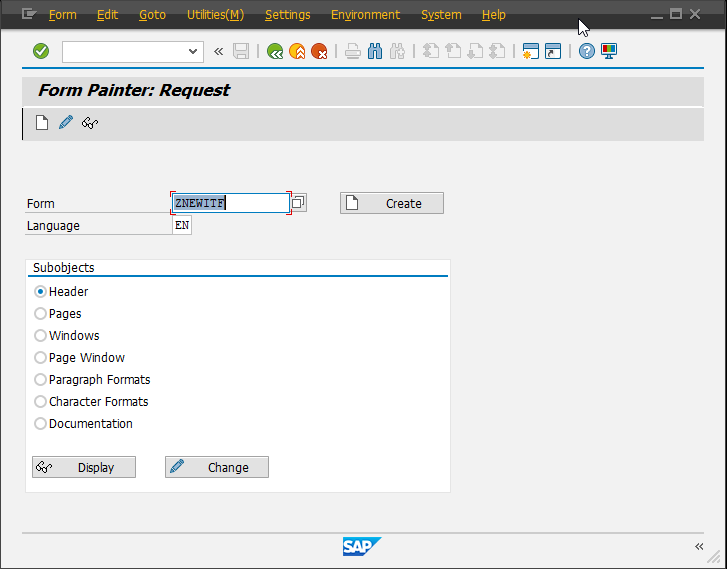 Select create to create the new text form. Fig. 3 Create standard text. 4. From the menu, select Text->Upload. Fig. 4 Select Upload text option. 5. 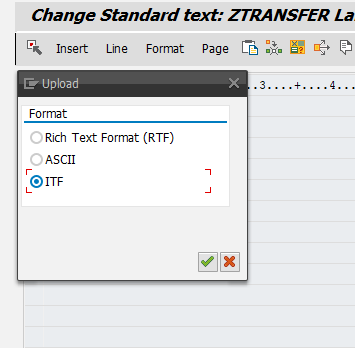 In the subsequent dialog, select the ITF format, then select the original ITF file and upload it. Fig. 5 ITF selection dialog. Fig. 6 Uploaded ITF file. 6. 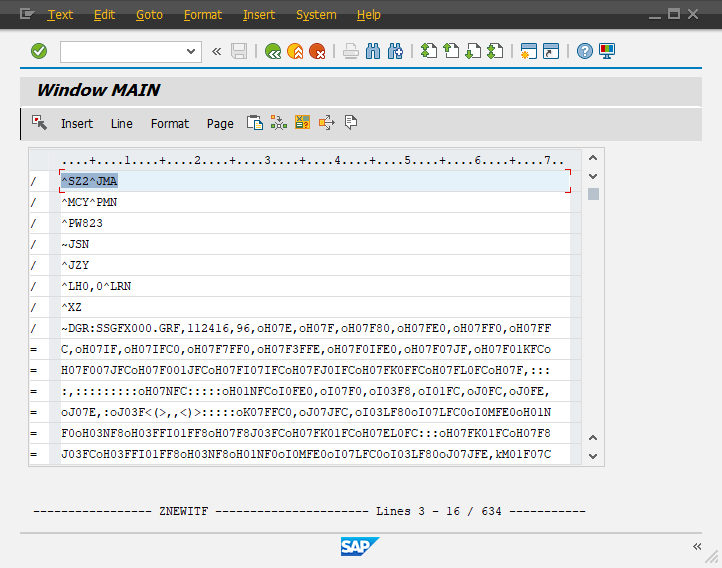 Create a new SAPscript form (SE71). 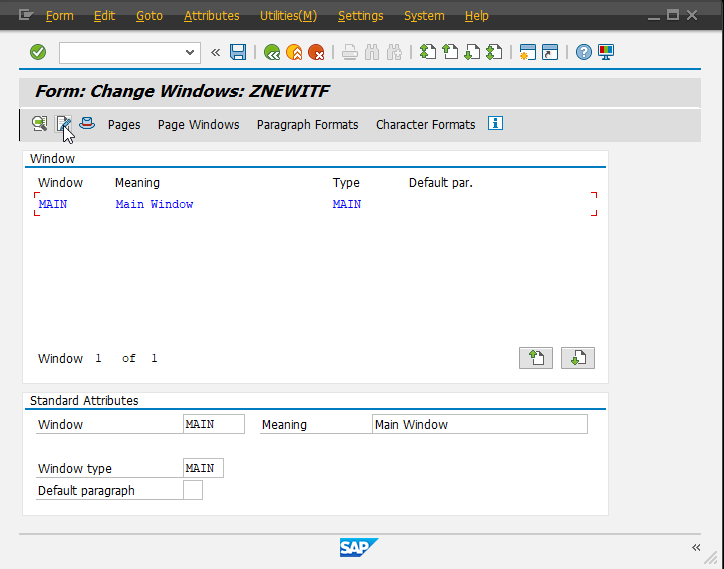 Note: I used a dummy name here, but you’ll want to follow any internal naming standards, including prefix with Z, as per SAP’s customer naming guidelines. Fig. 7 Form painter (SE71). 7. Branch to the main window, select it and go to edit. 8. 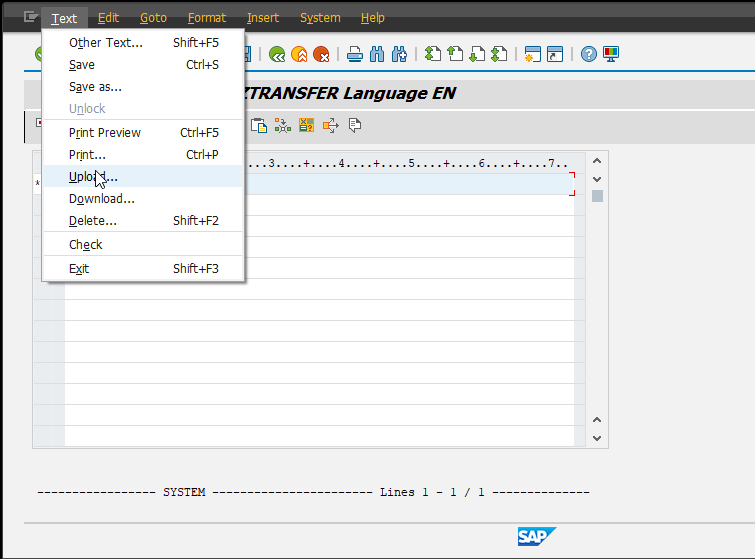 In the editor, select Insert->Text->Standard from the menu option. Fig. 9 Select standard text to import. 9. 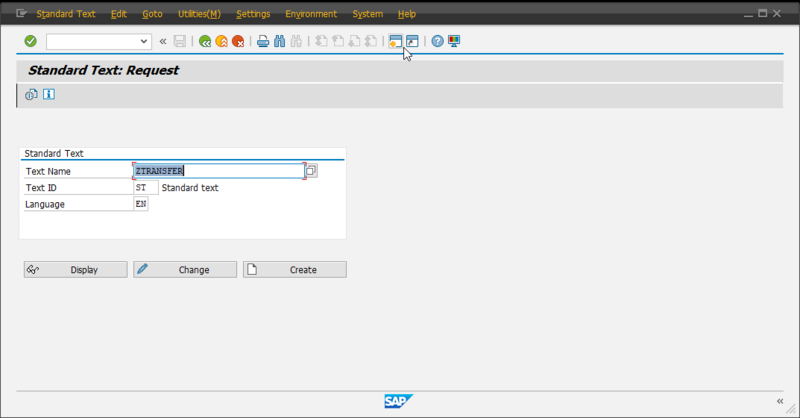 In the subsequent dialog box, enter the name of the standard text you initially created in Step 1. Fig. 10 Insert text dialog. 10. The ITF file is imported into your main window and you’re ready to go. Fig. 11 Main window populated with imported text. 11. Last step: Save and activate. Of course, you’re not done. You still need to have a way to use the form, but I’ll leave that for you to figure out. I hope this information was useful, if we can help please contact us, our custom development team can develop custom labels, programs as needed.